Great Britain is called upon by the American President to help neutralize an international terrorist threat. Shanahan and Gawain are teamed with EUROPOL agent Lucretia Corcosa in an effort to infiltrate the ring, and assassinate its leaders. They are drawn deep into the world of arms trading, Corsican mob and Russian espionage. Soon, the three have to confront the most dangerous enemy they have ever faced: The Citadel. 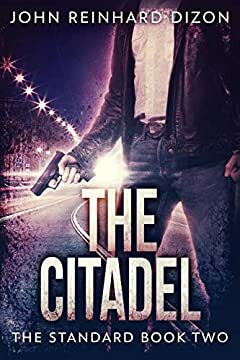 The Citadel is a standalone novel, and can be enjoyed even if you haven't read other books in the series.